Birthstones are gemstones that accompany a birth month, each having a unique meaning and historical significance. The popularity of birthstones dates back to ancient times when civilizations believed that gemstones had incredible powers such as luck, health and prosperity. Garnet, the birthstone of January, is mined in a rainbow of colours. From the fiery orange of Mandarin Garnet to the rich green of Tsavorite Garnet and to the most widely recognized colour of Pyrope Garnet, it is considered a great gift to symbolize friendship and trust. Garnet is a legendary precious stone. In Egypt, archaeologists have discovered garnet amulets in the tombs of pharaohs. In Rome, it was typical for noble patriarchs to have carved signet rings made from garnet. Ancient Persians only allowed their kings to own and wear garnets. The name “garnet” comes from the Latin word “Garanatus,” meaning “seed like,” in reference to a pomegranate. This reference makes sense as small garnets look like the bright red seeds you find inside in a pomegranate. 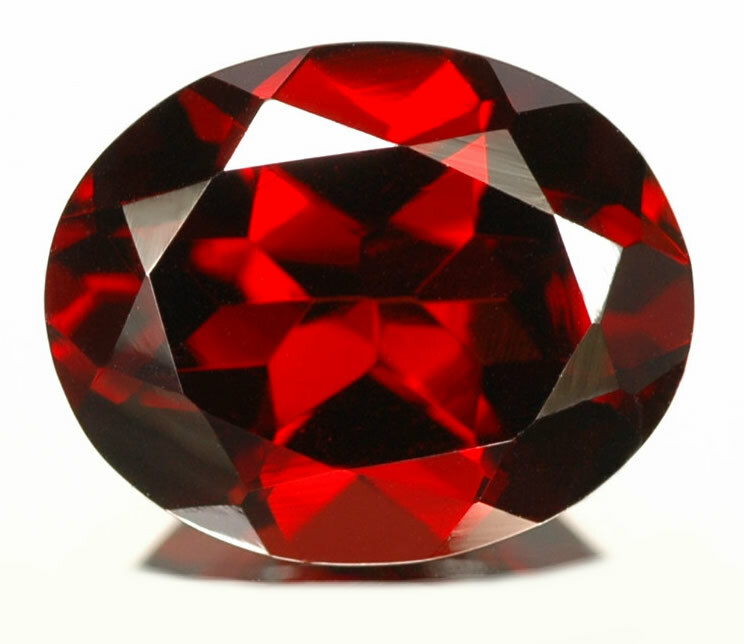 Garnets were highly popular in Europe, in the 18th and 19th centuries. They were frequently used for jewellery in Victorian times. Garnets are regarded as the stone of passionate devotion; toward family, friends, the self and purpose in life. Believed to stimulate the senses, and increase vitality and stamina. It is also said to be a powerful energising and regenerating stone. Cleaning and energising all of the chakras. It revitalises, purifies and balances energy bringing serenity or passion at the appropriate time. We stock a wide range of Garnet jewellery in store and on our website. Or why not book a private consultation to discuss having a bespoke ring, earrings, pendant or bracelet made. Contact us to arrange your free consultation today.